Waheed, who lives in exile in the United Kingdom, said he was resigning to pave the way for a leader who lives in the Maldives. Ali Waheed, the deputy leader of the Maldives United Opposition and the chairperson of the Maldivian Democratic Party, quit the opposition Monday. In a letter to former President Mohamed Nasheed, Waheed, who lives in exile in the United Kingdom, said he was resigning to pave the way for a leader who lives in the Maldives. “Having been jailed, exiled and living as a political refugee abroad, and considering the state of affairs in the Maldives and the interest of the larger community, I feel that it is best that I resign as the chairperson of the party rather than hold onto my post, and make way for a person who lives in the Maldives,” he said. 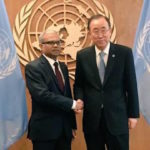 The surprise announcement comes amid speculation of an alliance between the MUO, a coalition between MDP, the Adhaalath Party and former senior government officials, and former President Maumoon Abdul Gayoom, half-brother to President Abdulla Yameen. In a series of tweets in early November, Waheed had criticized Gayoom, without naming him. “It makes me laugh when a [man], who had the opportunity to initiate reforms before things fell apart, starts calling for reform only when he loses his own,” Waheed had said on November 1. The MDP issued a statement thanking Waheed for “his sincere, hard work for the party in and out of the country”. “As chairperson, he has brought reforms to the administration of the party and had worked with courage, enthusiasm and vigour to further the party. 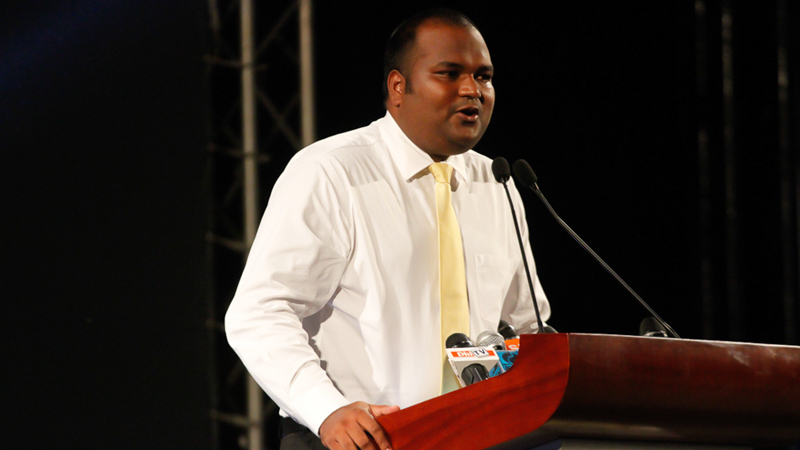 We have full confidence that we will always receive his services,” the MDP said. Waheed had fled the Maldives in June last year, shortly after he was released from police custody. He had been detained for more than a month over a historic opposition protest that ended in violent clashes. In October, he was charged with terrorism. 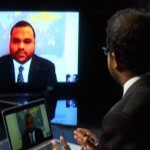 Waheed was granted political refugee status by the British government in August. 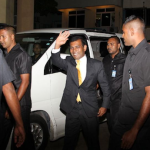 He travelled to Sri Lanka with Nasheed that month, amid rumours of a plot to oust Yameen. Days later, the immigration department revoked his passport. During his exile, Waheed has appeared frequently on the opposition-aligned Raajje TV to level allegations of corruption against Yameen. 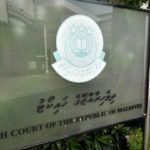 In February, he challenged the president to dispute evidence showing that a local company implicated in the Maldives’ biggest corruption scandal had deposited US$500,000 to his bank account.